Jon: I’m Jon Preece and I’m one of the co-owners of Press Start 2 Join. In the grown-up world I’m a Broadcast Technician for the BBC. 2.What was your first gaming memory? Dean: My Dad and I had spent the day at the model engineering exhibition at Wembley. Kind of a comic con from a bygone age. We saw Scalextric set ups and Doctor Who exhibits, that sort of thing. When we got home he had set up a ZX81 and we got stuck into 3D Monster Maze…………………and that’s where is started. Jon: Christmas 1983. My brothers and I had just finished opening our presents and our Dad said “Hang on… there’s one more.” He then produced a portable tv, a Commodore 64 and one game for each of us. Mine was Kickstart. My favourite Christmas (as a kid) ever! 3. What are your all-time favourite games? Dean: The ability to pick it up and play within a few seconds. I’ve no time for over complex control systems that means you need to relearn the game each time you play it. If its playable in second – I’m in!! Jon: I’m all about storyline and problem solving. I love to immerse myself in a game and progress along with the story and I don’t like to be distracted from it. This is why when I start a game (eg The Last of Us) I won’t play anything else until it is complete. 5. Do you have a prized gaming possession? Dean: It would have to be my Vectrex, she’s a fine example from the time. I love the simplicity of the machine and the playability of the games. Can’t beat firing her up for a Scramble or Minestorm session. Jon: My gaming chair. With built in sound and rumble it massively enhances most games – especially so with the VR mission on Star Wars: Battlefront. Also assisted Alien: Isolation in scaring the hell out of me! 6. Do you have a games “collection”? 7. Do you go to many of the gaming events throughout the year? – if yes, what do you love most? Dean: We obviously go to our own events that we hold in Sussex, Next one will be 10th February at the Martlets Hall in Burgess Hill. You can also find out at the PLAY and GEEK events round the country. We also love a trip to Matt Browns Video Game Carnival in Aldershot and not forgetting the Gamer Disco boys who put on a great event. Jon: Other than our own events (the next one being on the 10th of February!) I’ve been along to a few of the RePlay events in Manchester and Margate, and enjoyed the wonders of the Video Game Carnival in Aldershot. The great thing about these events is you get to meet, chat to and play with all manner of different people. You also get to see some fantastic Cosplayers – these guys are seriously talented when it comes to costume making. Everyone contributes to making the atmosphere wonderful. Dean: In the spirt of keeping this game related I used to love Games World on SKY One, we also love Dara O Briain’s Go 8 Bit and were in the audience for the Nish Kumar episode of the forthcoming season 3. Keep an eye out for us. Jon: Currently it’s Game of Thrones, The Walking Dead and Last Week Tonight. Still love watching classic comedy, the likes of Blackadder and Monty Python spring to mind, and most Sci-fi has a special place in my heart. 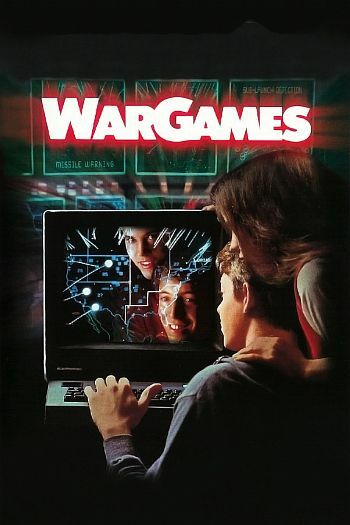 Dean: Again with a gaming theme in mind it would have to be Wargames absolutely love it. Would you like a nice game of chess? Jon: Kelly’s Heroes. I enjoy most movies but Kelly’s Heroes is my all-time favourite. Closely followed, I might add, by The Princess Bride and Labyrinth. Dean: Assuming we have a power supply. My PS1 with integrated screen (counts as 1 item), a copy of Destruction Derby and also Tekken to keep my survival skills sharp on the island!! Jon: A PS2, a TV and a copy of GTA 3: San Andreas – 40 or so years should give me plenty of time of complete absolutely everything in that game. And finally, do you have any messages you have for your fans / our readers? Firstly, a big thank you to our followers on all the social media platform, we appreciate all the interaction and banter. A key message from us is to ‘Keep Gaming Social’. We all sit in our rooms and enjoy gaming but through our events we really encourage four people to get round an N64 (other multiplayer consoles are available) and give Mario Kart a blast whilst berating your other players, the online experience never quite replaces seeing that look on your buddies faces as the red shell hits home. Great fun.